From poo to electricity - how much can SA wastewater plants produce? SALGA and SAGEN have developed a tool to assist municipalities in determining the biogas potential from their wastewater treatment plants. The tool is designed to provide high-level results that will allow a municipality to decide if this technology should be pursued. Biogas to Energy at Municipal Waste Water Treatment Works - A Toolkit for Municipalities to Assess the Potential at Individual Plants. Producing energy from biogas in Waste Water Treatment Works (WWTW) has multiple benefits. It has the potential to reduce the municipal electricity bill and improve the security of energy supply. Additionally, it can reduce the amount of sludge to be disposed of, while improving its quality - municipalities can then promote the use of the digestate as an attractive agricultural product for farmers and composting companies. Such a project will reduce the amount of methane emitted in the atmosphere, thus reducing greenhouse gases emissions. Lastly, building and operating a biogas plant will not only provide new job opportunities, but could also contribute to skills transfer. 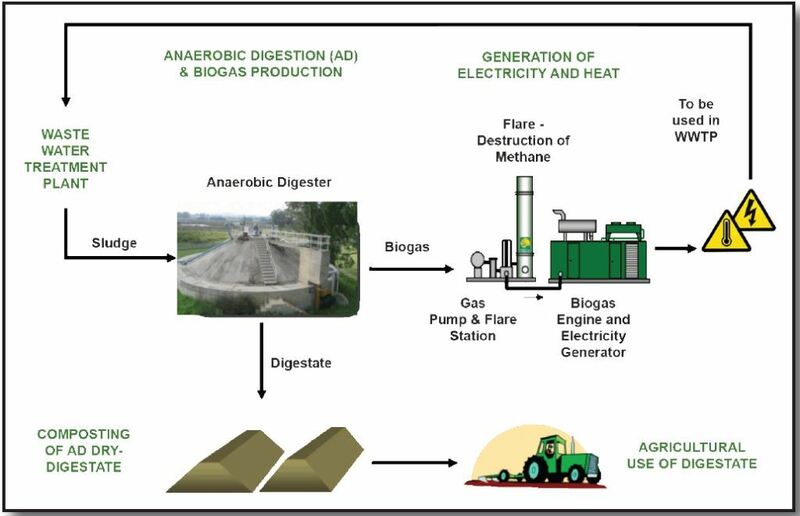 The Biogas Potential Assessment Toolkit was developed to assist municipalities to determine the biogas potential of their WWTW and the viability of such a project at the early stage of the decision making process. The Toolkit is intended for use by Water and Sanitation and/or Energy and Electricity departments of municipalities. It provides necessary information to 1) assess the potential for such a project and 2) present the project proposal to the municipal management. Municipalities can download the presentation here and notes here. To calculate the biogas potential at a wastewater plant, download the tool here (MS Excel).